This week’s choice is a brand new mystery with Sherlock Holmes and Dr Watson – but is it as good as Arthur Conan Doyle’s originals? It’s London in November 1890 and Sherlock Holmes and Dr Watson are enjoying tea by the fire when an agitated gentleman arrives unannounced at 221b Baker Street. He begs Holmes for help, telling the unnerving story of a scar-faced man with piercing eyes who has stalked him in recent weeks. Intrigued, Holmes and Watson find themselves swiftly drawn into a series of puzzling and sinister events. 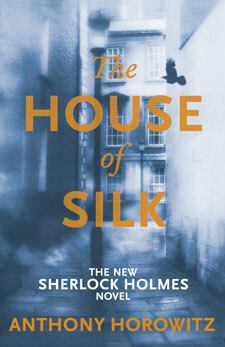 They begin to hear the whispered words ‘the House of Silk’… but what does the phrase mean? And what links London’s foggy streets with the violent underworld that seethes in the American city of Boston? A pacy historical thriller set in New York at the dawn of modern detective practices. The mistress of the crime novel creates a mystery set in the age of Jane Austen – a really satisfying read. The original stories from Conan Doyle, with Holmes at his most ingenious and Watson at his trustiest.